Mike Pirnat: 69/365: Nao What? 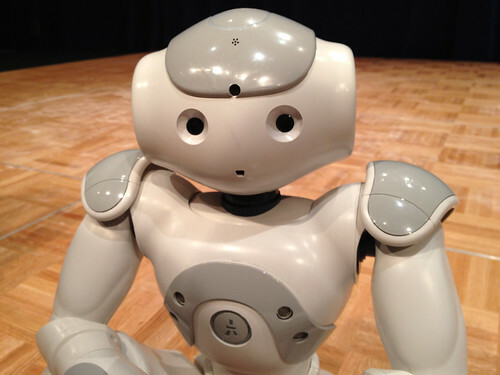 One of the five Nao robots from Aldebaran Robotics that opened PyCon with a coreographed dance takes a rest to ponder what's next on its agenda. These are pretty amazing little things, and Aldebaran's vision for its next few years is tremendously exciting. Did I mention that I suggested the music that was used? Made. My. Day.